Many people mistakenly believe that the all Afghan Hindus must be migrants from India, who went to Afghanistan for business/entrepreneurship. While this is true for some Afghan Hindus, others are in fact indigenous Afghans, whose ancestors have dwelt there since time immemorial. The land that is now called Afghanistan was once an important part of Hindu or Vedic world. For example, it is quite well known that “Gandhar” of Mahabharata fame, the kingdom of Shakuni (the wily uncle of Duryodhan) is modern day “Kandahar” (the second largest city of Afghanistan). Several historians believe that the Vedas may have been at least partly composed in what is now Afghanistan. The Hindu Shahi dynasty ruled Afghanistan until the 10th century AD, when they were finally conquered by Muslim invaders who they had been fending off for around three centuries. At this time, the predominant religions of the Afghan people were Hinduism (with strong Buddhist elements) and Zoroastrianism. Over the sands of time, the country’s non-Muslim populations dwindled, although the non-Muslim communities still played a part in the country’s life and culture. In the more peaceful times of the last two centuries, some Hindus and Sikhs even migrated to Afghanistan for business opportunities. Today it is not known how many Hindus remain in Afghanistan. 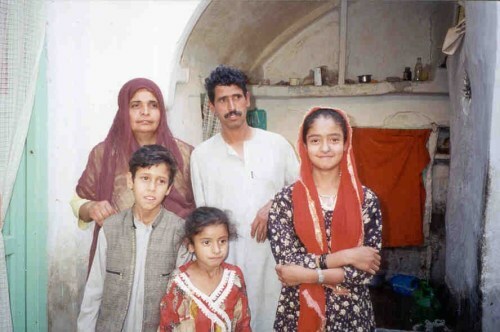 It has been estimated that there are 200,000 Afghan Hindus around the world, but the majority do not live in Afghanistan. There may be 30,000 or so Hindus still in Afghanistan, but it is reported that this figure falls by the month, as the majority try to flee the daily discrimination they face. The lowest point of the ordeal of Hindus in Afghanistan was when the Taliban were in power. The Taliban made them wear yellow armbands to distinguish them from Muslims, which greatly increased discrimination against them. A number of Hindu organizations around the world protested the introduction of this discriminatory measure. There are promising signs that Afghan Hindus who have fled to other parts of the world are trying to organize themselves to ensure the survival of their historical culture and traditions onto future generations. As example of this is the Afghan Hindu Association, an association of Hindus who live in the USA, who according to the website number approximately 7,500. They have set up a community center to where functions and educational and welfare activities are conducted. One can only hope for better days where the remnants of Hindu culture in Afghanistan – the artifacts, temples and of course the people are restored and given a respectable place of in the country’s cultural landscape. Don’t count on that happening any time soon though.